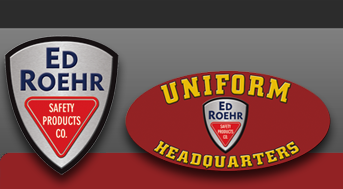 Edge Eyewear - Ed Roehr Safety Products Co.
Wolf Peak International, Inc. was founded in 1998. The company initially operated from the combination of a rented basement room and a storage unit for inventory. In 2001 it moved into a small 1,900 square foot office where the first employee was hired. During the four years at this location, Wolf Peak experienced phenomenal growth and built the basic foundations and principles of the company. By February of 2005, the company had tripled its workforce and was literally “busting at the seams” at its current location; it was time to move again. Wolf Peak relocated to a beautiful custom designed and built 15,000 square foot office/warehouse in Layton, Utah. Our new corporate office has given us additional space and advanced facilities that has accelerated our growth and made us more efficient. In 2005 and 2006, Wolf Peak was the recipient of the Utah 100 Award recognizing the achievement of being ranked among the fastest growing companies in the state. The company has seen consistent growth as it has committed itself to offering cutting-edge innovation in our products, a premium experience to our business partners, absolute integrity and professionalism in our daily efforts.